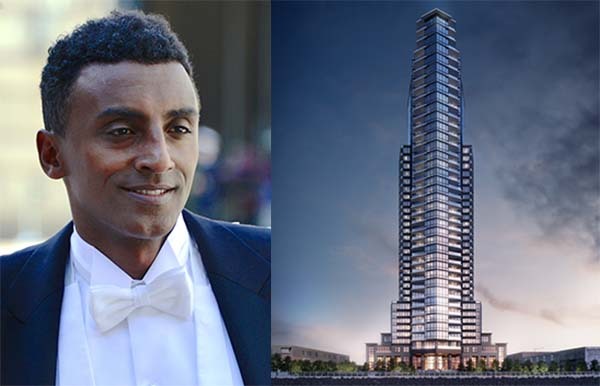 Chef Marcus Samuelsson, founder of the Red Rooster, plans to open a new restaurant at a nearly-complete luxury residential complex in Greenpoint. Samuelsson inked a lease for more than 4,000 square feet at the base of the Greenpoint at 21 India Street , the New York Post reported. The 40-story rental tower is being developed by Mack Real Estate Group, Palin Enterprises and Urban Development Partners. Designed by Ismael Leyva, 21 India Street has 287 rental units on the lower 27 floors and 95 condominiums above.